I dont know how this has lasted this long and is still going strong. But its 10 years now. This will be a private game as long as we have enough players. If we don't we will blend with walkons. It will be open class play. Shot what you want. I would like to do Saturday as "Old Hat" Game. Use a gun from your past or the gun you have had the longest. This is meant to let people resurrect that gun they used to use all the time but have neglected on a shelf for years. Yes you can use new stuff as well but I would like to encourage you to use that old gun for alot of the day. This will be pumps on the air field mostly. I'm sure if someone wants a anything goes game that can be done. We will be doing burgers and such for lunch again. Holiday Inn express in Rochester NH on route 11. Last edited by cougar20th; 08-15-2018 at 09:25 AM. Last edited by cougar20th; 10-23-2018 at 09:45 AM. So as with last year I will be organizing a Shirt order this year. This year there are more options. Unfortunately there is a fat guy charge to all shirts above XL. If you cant make the game but still want a shirt I will ship it. Shipping for Crewneck and Hoodies will be figured out shortly. There is no front printing this year. For the expense I didn't think it was worth it. Message me for payment information. Last edited by cougar20th; 11-05-2018 at 01:26 PM. Hrm, 12 hours driving ain't bad - quite doable. 11 if I want to pay tolls. It will be open class play. Shot what you want. Open class as in anything (mechs, RTs, pneus, electros) and not just open class pumps, right? If anything, that'd give me a timehack in which to complete the golden Shockwave and capped M86 Ripper. Yes open is anything you want that the field allows. I do NOT plan to have extras day of. Only what is ordered. Last edited by cougar20th; 09-24-2018 at 08:30 AM. Will be attending both days. Going to try for dinner, probably not likely.. but I'll see what I can do. So to go along with the "Old Hat" gun theme. I have resurrect several of my long unused guns. Including my first gun. Bought it in 1998 & I haven't used it since 2006. 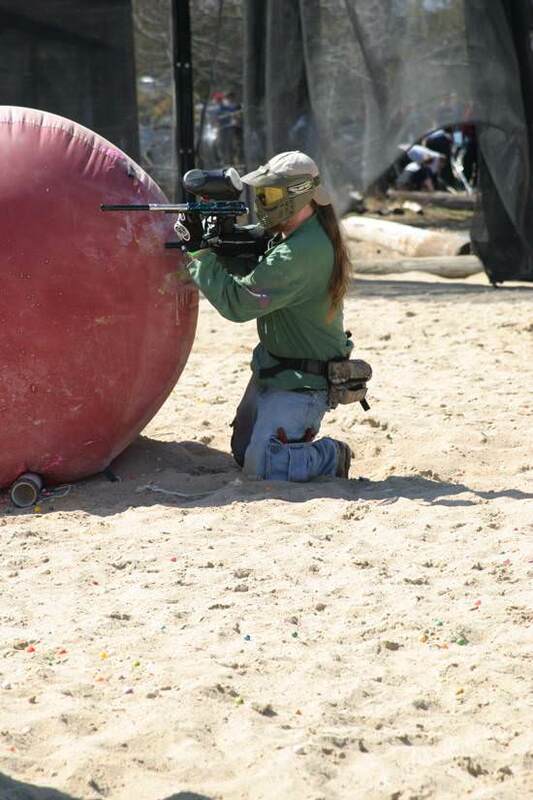 The picture is from 2005 AO NewEngland game at CapeCod paintball. No I can not resurrect the hair. Don't ask I was a Wookie back then. Last edited by cougar20th; 10-08-2018 at 07:53 AM. Last day to get a shirt, I am ordering them tomorrow. There will be NO extras. Just about two weeks out. Group is reserved under "Reaperball"
Reminder bring some cash for lunch on Sunday. We dont want to have Steve in the hole for supplies. As always, had an awesome time! Saturday was a bit rough with the rain but we all managed to make the best of it. Redic, I saw you with a camera here and there. Were you able to get any good pics?